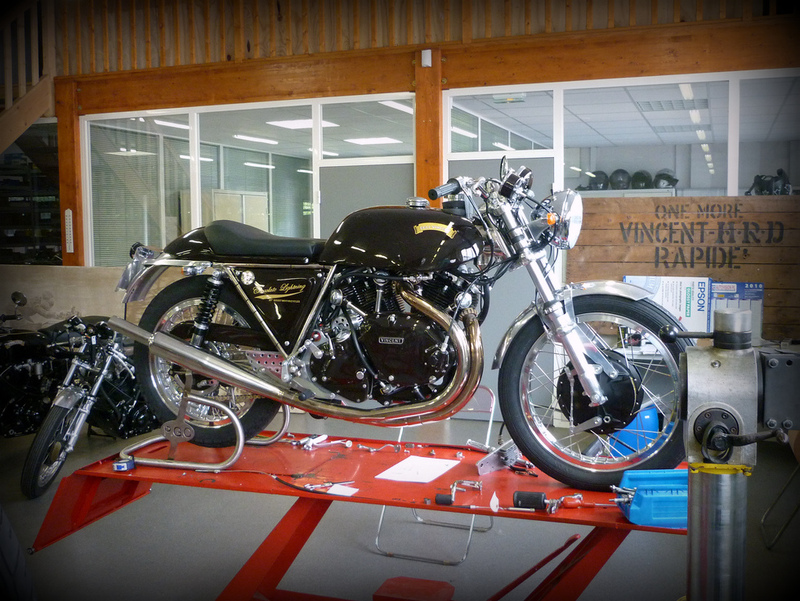 Patrick Godet is specialized in the Vincent restoration and the recreation of Egli-Vincent. 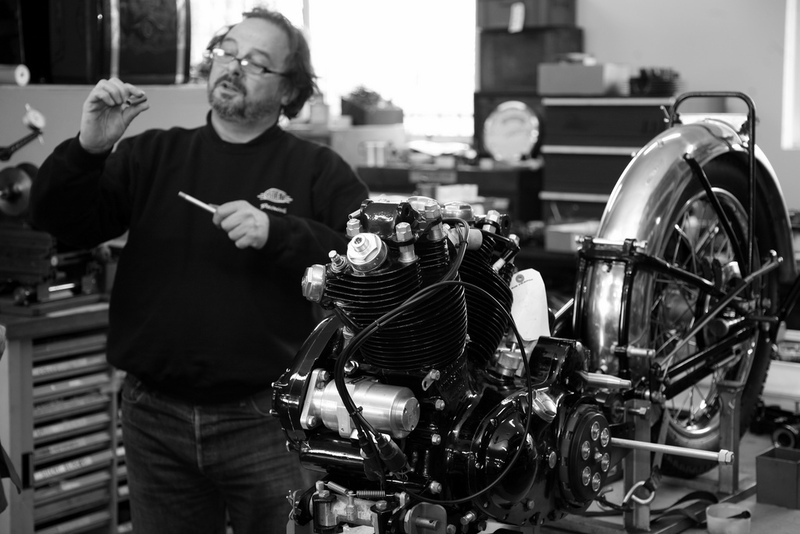 His peers and the Vincent community recognized several times the quality of his restoration work, and when Patrick started the manufacturing the Egli-Vincent in limited edition, the feedback was no different. 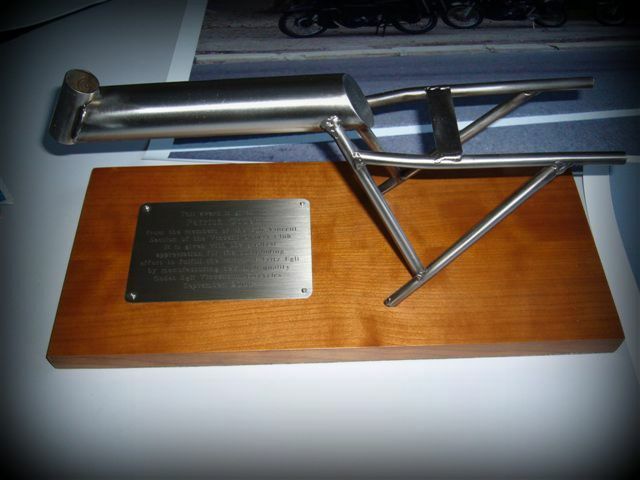 Fritz Egli was so impressed by the quality of the machine that was presented to him that he gave Godet Motorcycles the special permission to be the sole manufacturer of these new racing machines under the Egli-Vincent name… and even ordered one for himself! 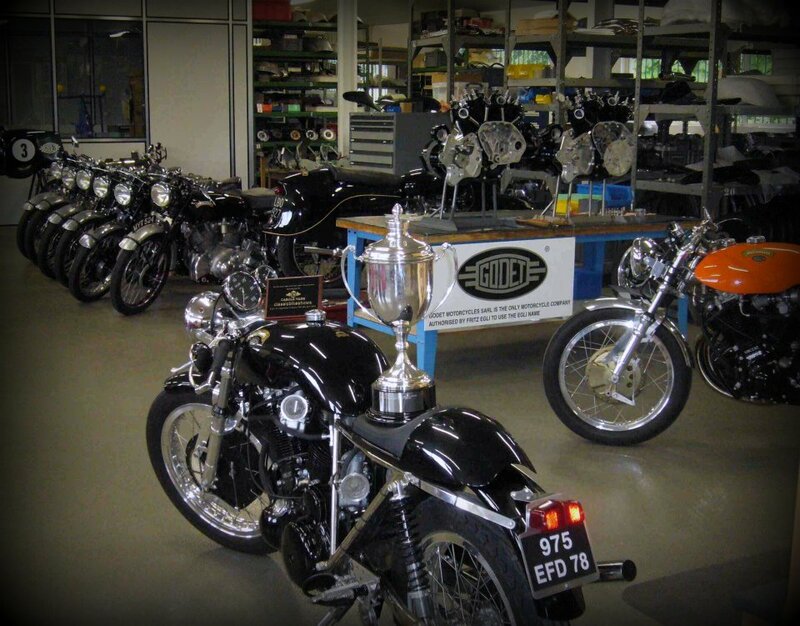 Today Patrick can provide complete restoration of Vincent and Egli-Vincent road machines to new condition as well as brand new single and twin cylinder Vincent and Egli-Vincent racing machines. 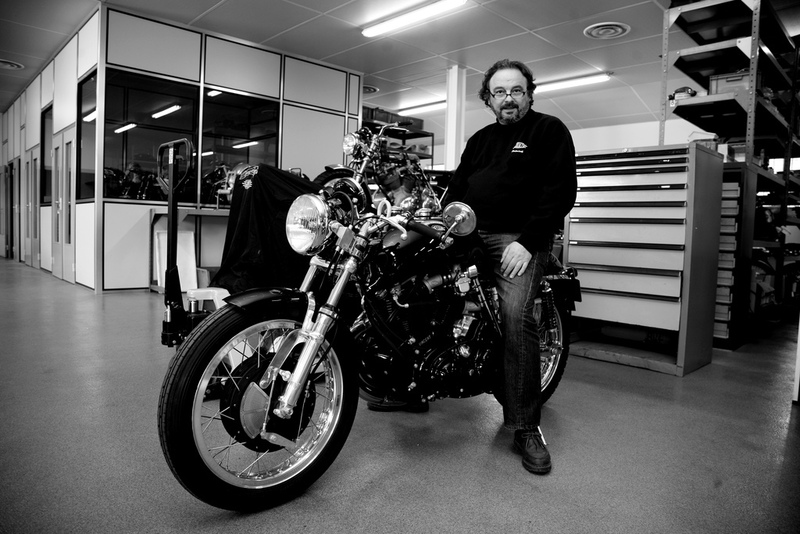 The knowledge of the Vincent engine and 35 years of development on the Vincent V-Twin makes his racers among the most competitive on track. 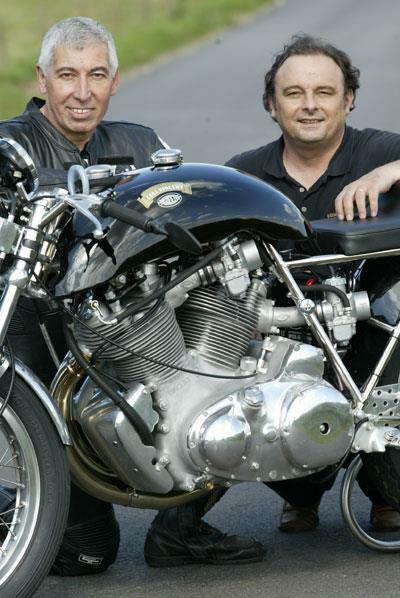 Patrick Godet (right) and Hubert Rigal (left) squatting behind the first 1330 Cafe Racer. Patrick did a great job to deliver a 99hp at the rear wheel, which can both work on the road and on track. Patrick’s workshop. A lot of stuff orotund there. Stock Vincent in the course of restoration, restored engines, a Cafe Racer, a Sport GT and Patrick’ personal Black Prince.